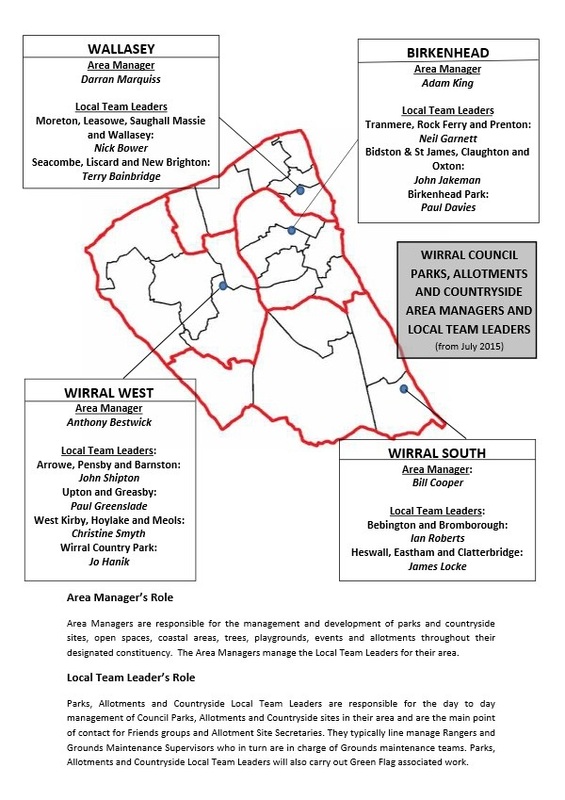 The council has published the latest (September 2015) waiting lists for Wirral allotments download here. Minutes from the Site Secretaries' meeting September 2015 download here. Has spring arrived? We could be forgiven for thinking that we blinked and have missed it, if the recent weather is anything to go by! However, crops are growing and hopefully the weather will soon improve and we can all get on with our allotments. An update on what has been happening with Wirral Allotment Society, we held a very informative and well attended 'Funding Forum' at Birkenhead YMCA, I hope those that attended found it helpful. If anyone has any news about Grants applied for or received, we would love to hear about them. Moving forward, we would like to address a matter which has come to our attention on the 'Supposed' intentions of Wirral Allotment Society. You may be aware that Wirral Allotment Society has sought to re-engage with allotment sites across the Wirral, as we realised that we have not been as active as we could have been. However we wish to make it absolutely clear that we are not intending to take over the management of any sites, they are managed by Wirral Borough Council, and that we, as a society are not recommending that all sites become 'self-managed', this was made very clear at the recent Funding Forum held at the YMCA. However malicious rumours have been circulating for some time now, and we feel that we need to make it clear that they are completely unfounded. If any of you are told that this is our intention please be assured, it is not. We are happy to give advice on the forming of societies and to provide information on self-management but we do not recommend self-management for any Wirral site, at the present time. If anyone would like to discuss this with us please get in touch and we will be happy to speak with you about this. We had hoped that the new Allotment Strategy would be available by June, however we have been informed by Mary Worrall that there has been a delay, and that it will, hopefully, be ready later in the year. Minutes from the Site Secretaries' meeting on 3rd March download here. Minutes from the Site Secretaries' meeting on 7th January download here. We hope you have all had a good rest over the Christmas and New Year and are now ready to tackle the task of planting your crops for the coming year. 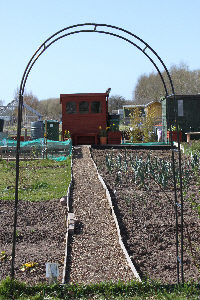 Last year Wirral Federation of Allotment Societies made a concerted effort to re-engage with existing allotment societies and individual plot holders, as we recognised that meetings had become infrequent and poorly attended. In August 2013 we held our AGM at Birkenhead YMCA. This was well attended and there were new and old faces amongst the audience. Mary Worrall, who is now Head of Parks and Countryside services at WBC attended and outlined her ideas for how allotment sites could be improved, and importantly, asked and listened to feedback and suggestions from the floor. The majority of people felt that is was a positive meeting. So what's been happening since then? • A new allotment strategy is being prepared by WBC and should be published within a couple of months. • Leasowe Community Allotments finally opened its much needed site after a long time in the planning, I am sure that many will remember Cllr. Ian Lewis a few years ago proposing the idea at one of our meetings. This has finally come to fruition and we are sure it will be a much used and appreciated community focus. • Wirral Federation of Allotment Societies has shortened its title to Wirral Allotment Society, we hope you all approve and agree it's an improvement! • We have started an open Wirral Allotment Society Facebook Group, for those of you that use Social Media. Its purpose is to keep you up to date with what's happening around our sites. Please feel free to add any photos, info or events from your plots to the group page. • We've updated and launched this website as a fresh start. If any of you have any events planned for this year, open days, plant sales or Big Lunches and are looking to publicise them, get in touch and we'll include them on our Events Page, in the next Newsletter, planned for April, and also post them to the Wirral Allotment Society Facebook Group. Or contact us via our Facebook Group. Next meeting date TBA - come back soon.